The aim of Norwegian energy policy is to provide a suitable framework for maintaining an efficient, climate-friendly and reliable energy supply system. Norway has competitive advantages in its abundant renewable energy resources and a well-functioning energy sector. Our energy policy is intended to encourage modernisation of the energy supply system and adapt policy instruments and the regulatory framework to rapidly changing markets. The question of how to develop an energy supply system that is sustainable in the long term is a key policy issue in many countries. Security of energy supply, climate change, environmental considerations and value creation must all be taken properly into account in energy policy development. It is vital to find solutions that create the maximum value for society at the lowest possible cost. A smoothly functioning power market is of crucial importance for security of electricity supply. In Norway, security of supply is closely linked to the capacity of the supply system to ensure an uninterrupted supply of electricity to end users. The power supply system must be able to deal with variations in electricity consumption through the day, through the year and between years. We depend on a robust power grid. All important societal functions, business and industry and consumers are dependent on reliable power supplies. It is therefore vital to maintain and expand the grid to meet the challenges of the future. Major investments are currently being made in the power grid, and will improve security of supply. Both production-side and demand-side flexibility have a positive effect on security of supply. Price signals play a decisive role in determining which elements of short-term flexibility are actually used. Operation of the power supply system and power trading should as far as possible be market-based. Effective markets send the right price signals to producers and consumers, and promote sound use of resources, innovation and security of supply. Security of energy supply is vital in modern society. Norway has abundant energy supplies, but also needs to find good ways of responding to the growing demand for power. Regulation by the authorities is intended to facilitate the development of new, effective solutions that will ensure security of energy supply in the future. One goal of Norwegian energy policy is to facilitate profitable production of renewable energy in Norway. Renewable production should be developed on the basis of profitability, allowing Norway’s renewable energy resources to be used in a way that creates the maximum value for society at the lowest possible cost. Norway produces a large amount of flexible hydropower, which will continue to be the backbone of its energy supply system. 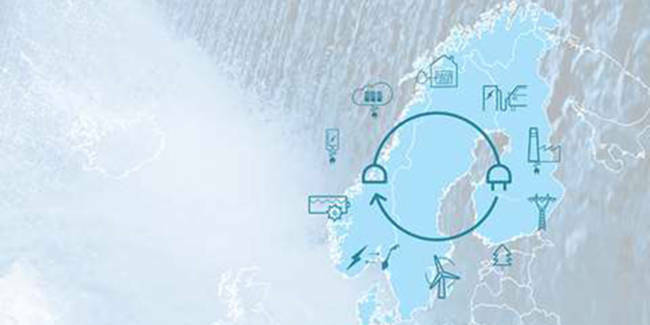 Hydropower production is also important in the context of climate change in Europe, and hydropower production makes it possible to maintain security of supply in the Norwegian and Nordic electricity systems. Norway already derives a large share of its energy supplies from renewable sources. The electricity generation sector is virtually emission-free. However, energy use in transport, manufacturing, oil and gas production and for heating still results in greenhouse gas emissions. Our energy policy is intended to facilitate more efficient and climate-friendly energy use. Renewable energy is an important sector in Norway. The industry employs about 20 000 people throughout the country, including employment in grid operations. Renewable energy supplies are essential for the development and growth of other industries. Hydropower has been the basis for Norway’s industrial development and prosperity for more than 100 years. The renewable energy industry will continue to play a key role as the transition to more climate-friendly energy use continues in Norway and the rest of Europe. Norway’s energy policy is intended to provide a framework that enables the country to further develop its renewable energy resources and make use of its competitive advantages. This includes ensuring that there are well-functioning markets, so that profitable renewable resources can be used efficiently and provide a good basis for business development and value creation. 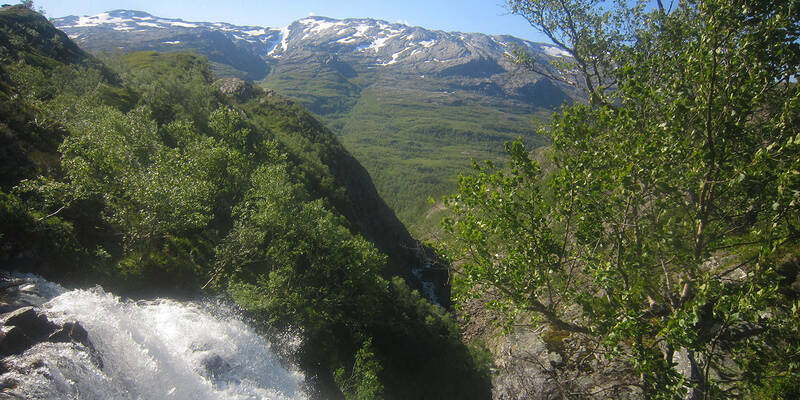 Flexible hydropower production, the widespread use of electricity for many purposes and Norway’s pioneering role in market reform in the power sector are competitive advantages in a European energy market that is undergoing transformation. The availability of abundant supplies of renewable electricity was the basis for Norway’s large energy-intensive sector. This is a good starting point for developing new markets for energy services, new technology and new energy-intensive products. Norway must continue to use its power, and to use it as efficiently as possible.